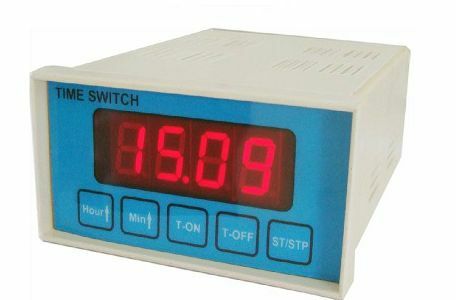 Digital Time Switch is used to manage electrical devices, which require daily on and off on a particular time. Different time settings in Digital Time Switch are programmable for 24 hours. This device supports automatic reloading. The name of our company surfaces prominently among the trusted Manufacturers and Suppliers of Digital Time Switch from Maharashtra, India. Customers can obtain Digital Time Switch from us at a very reasonable price. In built battery to support clock in power fail. 5 DCV operating derived from 230vac. Mechanical Dimensions in mm L-110, W-60, H-147.